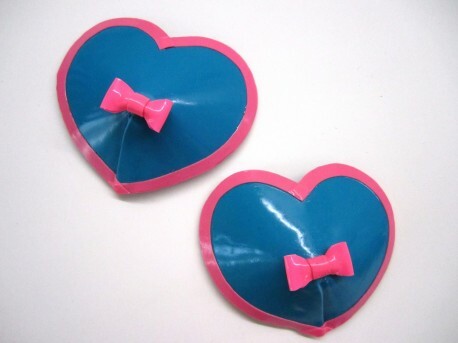 Heart-shaped latex pasties with little bow and one trim. Leather inside. 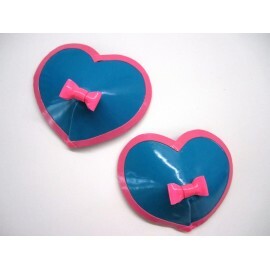 XS = 4 cm / 1.6"
S = 5 cm / 2"
M = 6 cm / 2.4"
L = 7 cm / 2.7"
XL = 8 cm / 3.1"
Description: Heart-shaped latex pasties with little bow and one trim. 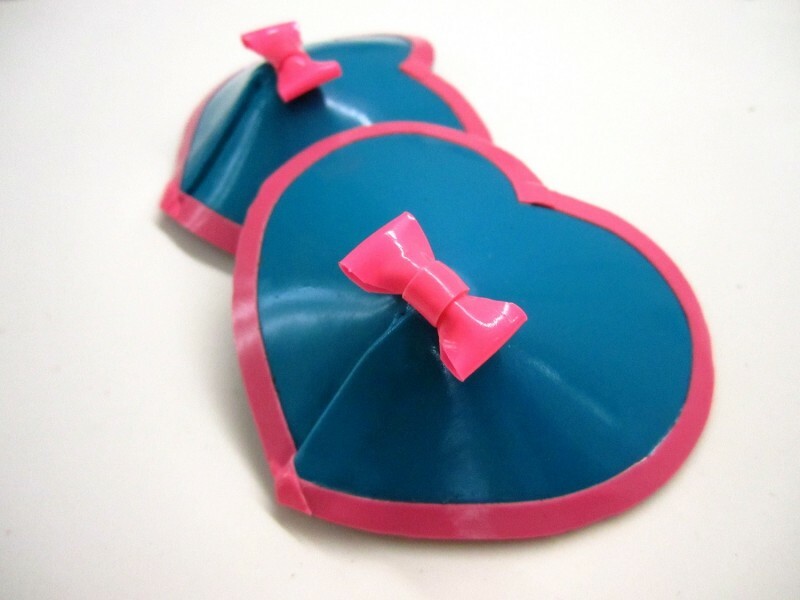 Leather inside. Size selectable.